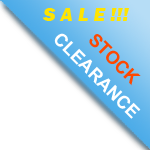 30, 60 Kg Liquid packing - Free from Hydrochloric acid which is not only damaging the metal surface in contact, but its fume also damaging electronic pannel and other precious parts in plant. 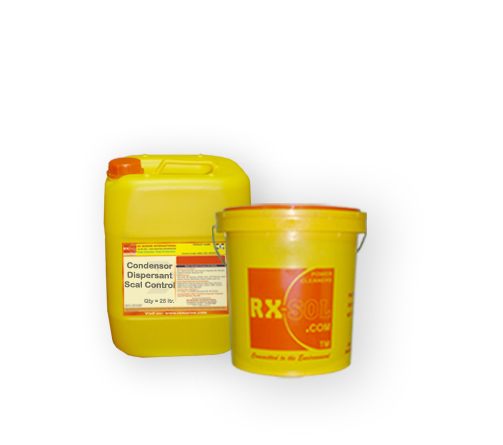 Also uses of HCl is difficult due to corrosive fumes, While RXSOL Descalex Polymer is free from any kinds of FUMES. 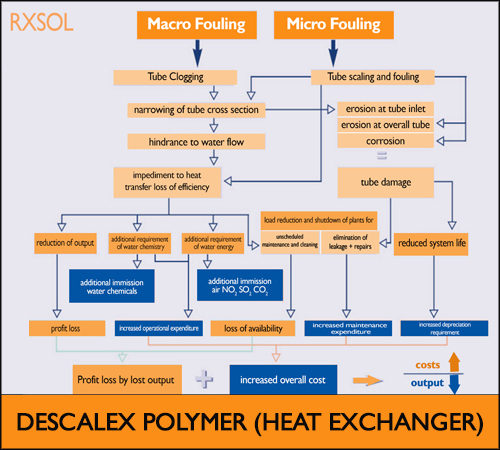 1st Stage : Take ‘RXSOL-11-1053-010’ weblink ( http://rxmarine.com/Alkaline-Descaler ) and mix with water in the ratio of 1:6 (One litre of RXSOL-1053 and six litres of water). Circulate the solution or immerse the equipment in this solution for 2 hrs. This will be helpful in loosening the hard deposited scale. 2nd Stage : Circulate the entire system with ample fresh water, at least for 10 minutes. 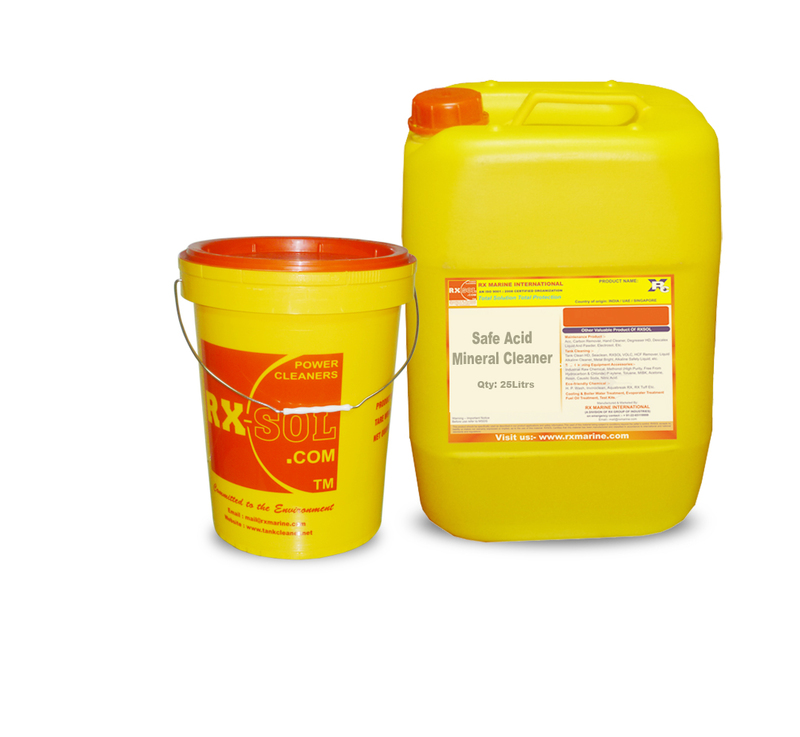 3rd Stage : Take ‘RXSOL-40-1048-025’ and mix with water in the ratio of 1:6 (One litre of RXSOL-1048 and six litres of water). 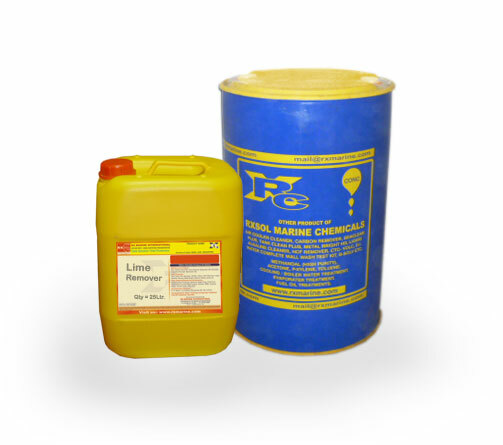 Circulate the solution or immerse the equipment in this solution for 6-8 hrs. 4th Stage : Flush the entire system with ample fresh water, at least for 20 minutes. 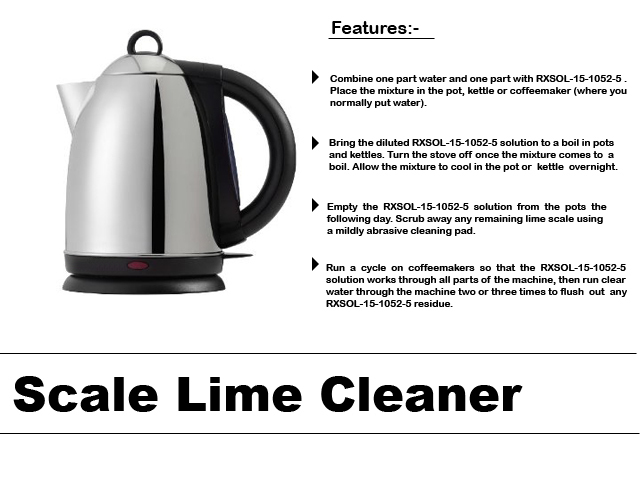 5th Stage : Take ‘RXSOL-11-1053-010’ weblink ( http://rxmarine.com/Alkaline-Descaler ) and mix with water in the ratio of 1:6 (One litre of NF and six litres of water). Circulate the solution or immerse the equipment in this solution for 2 hrs. 6th Stage : Flush the entire system with ample fresh water, till the ph value of outlet water match as fresh water. 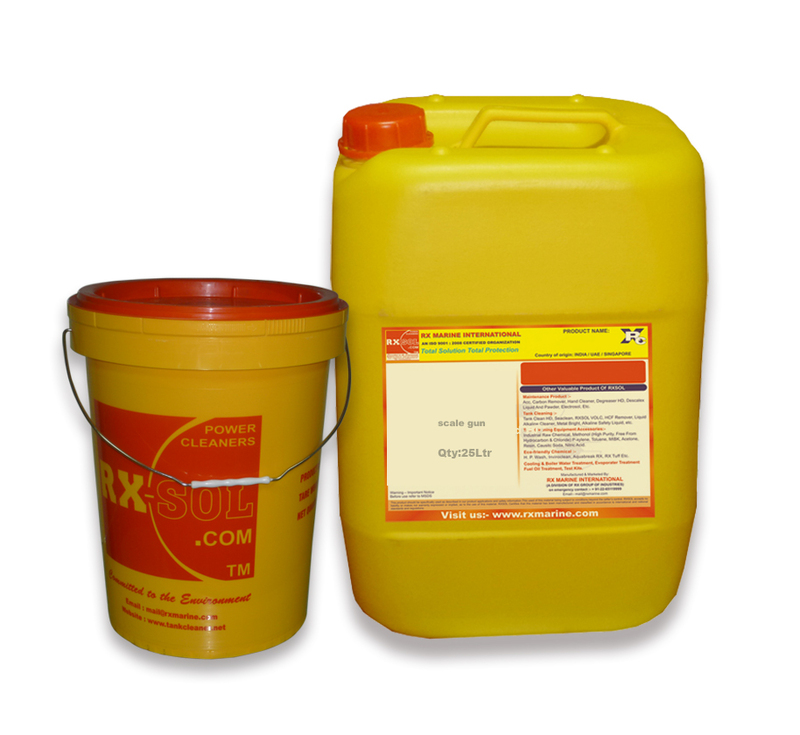 RXSOL-40-1048-025 should not be used on Aluminium, Zinc, Tin, or any Galvanized Surfaces for which a special grade cleaner should be used. 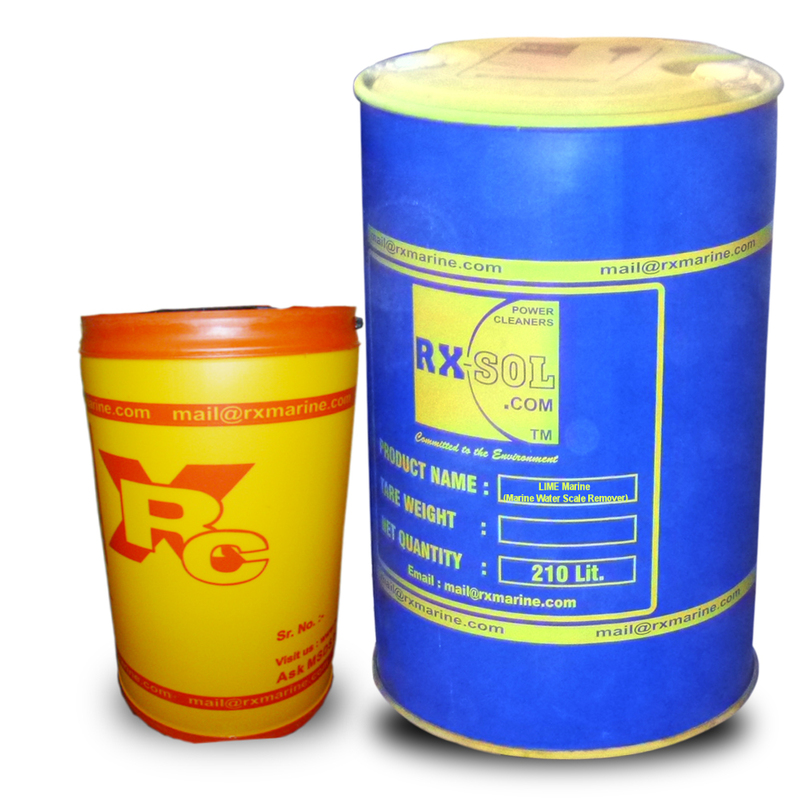 Chemical Cleaning Module Rx cleansers has developed a 280 litres capacity cleaning module, primarily designed for use with chemical acid solvents for descaling boilers, calorifiers, heat exchangers & other types of equipment where rust & scale form RXSOL-11-1008--DC Boilers, See Rx cleansers Practical Application Manual. The principal problem potential posed by sulfate ions in water is the possibility of calcium sulfate scale formation. Precipitation of calcium sulfate can occur when high concentrations of both calcium and sulfate exist simultaneously. 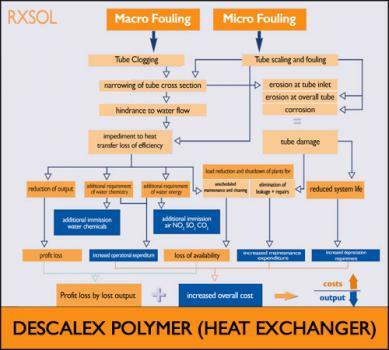 There are three primary areas of water treatment in which calcium sulfate precipitation may occur boilers, cooling systems, and ion exchangers operating in the hydrogen or acid mode. In boilers, calcium sulfate scale formation has been reduced to a minimum by modern treatment practices. 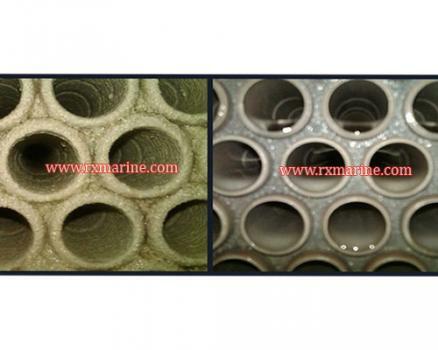 The low hardness levels largely preclude calcium sulfate boiler scale. By contrast, cooling systems are subject to calcium sulfate scale deposition because the makeup is usually not treated for hardness removal. Cooling water is usually treated with sulfuric acid for pH control, and the makeup is cycled, i.e. concentrated. 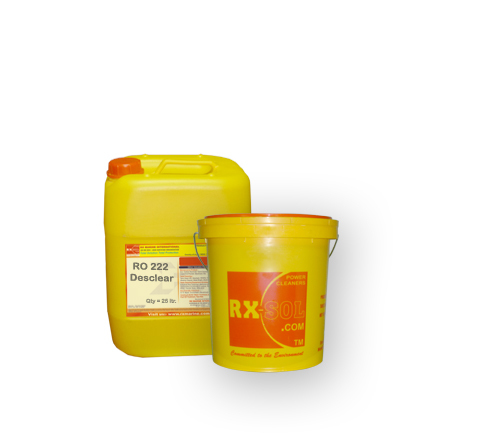 Calcium sulfate scale deposition can result unless the cycles of concentration are properly controlled in conjunction with the proper use of scale control chemicals. 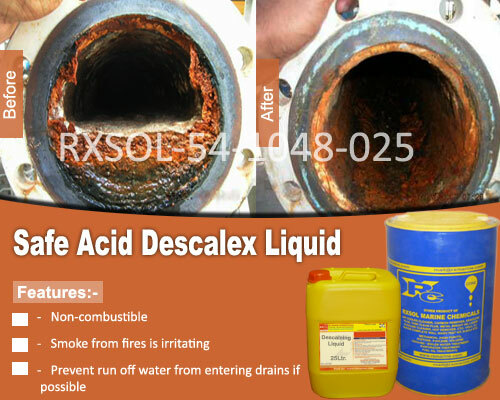 Cation ion exchangers regenerated with sulfuric acid also can pose a major calcium sulfate problem. 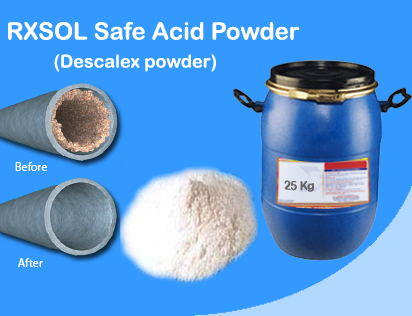 Calcium sulfate precipitation can be avoided by controlling the acid concentration and the flow rate through the exchanger.